The Yangtze River is the longest river in China and the third longest in the world after the Amazon and Nile. The Yangtze River along with the Yellow River is renowned as the "Mother Rivers of China" as it has nourished China&apos;s long and splendid culture. The evidence is seen in the varied cultural heritage along the river. The section of the Yangtze from Yichang to Chongqing has abundant historical sites as well as beautiful natural scenery. The following shore excursion will provide you Chance to taste China&apos;s longest river, enjoying its incredible natural beauty, experiencing the splendid culture, authentic local flaors. Chongqing, one of the four municipalities in China, is at the confluence of the Jialing River and the Yangtze River. It is a major inland port of China and the leading commercial, transportation, and industrial center in southwestern China. The city is the starting point for Yangtze River cruises, whose ships explore the stunning scenery of the Three Gorges. With more than 3,000 years of history, the area offers abundant historical and cultural relics. Famous attractions include Arhat Temple, Chaotian Gate, Chongqing Museum, Chongqing Zoo, Ci Qi Kou, Dazu Grotto Art, Erling Park, Loquat Hill, People&apos;s Assembly Hall, and Northern Hot Springs Park. Fengdu is a very popular shore excursion site on Yangtze River cruises. Known as the "Ghost City," many historical sites are linked with the ghost culture, which attracts a large number of tourists. 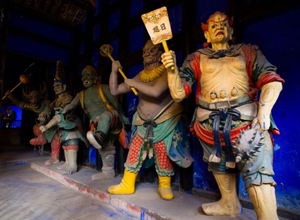 In this ancient town are 75 Buddhist and Taoist temples that were built during the Tang Dynasty and that house many demon and god statues. In Chinese legends, Fengdu is where the devil lives, and it is also a place for punishing the devil and awarding the good. 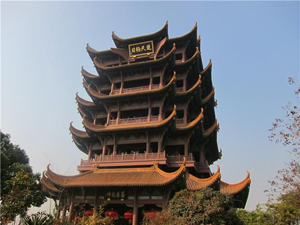 Shibaozhai is a 12-story wooden pagoda located in Zhong County on the south bank of the Yangtze River. It is a magnificent structure built against the side of a sheer rectangular cliff. Its architectural style and surroundings make it look like a heavenly building. First built during the Qing Dynasty in 1750, Shibaozhai’s every floor contains interesting artifacts. The pagoda has been named the "Pearl of the Yangtze." Wanxian is one of the ten largest ports along the Yangtze River and the second largest in Chongqing. It has become a popular destination for most Yangtze River cruises because of its beauty and uniqueness. Wanxian is famous for various and bustling markets, and travelers can find some free markets that sell local products and seasonal delicacies such as mountain mushrooms or live eels. 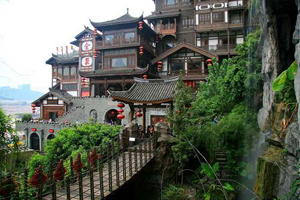 Fengjie, an ancient and cultural county with a history of about 2,400 years, is located in east Chongqing. The White Emperor City lies in the eastern part of Fengjie. Fengjie is also known as Poem City, as many prestigious poets such as Wang Wei, Li Bai, Du Fu, Su Shi, and Su Zhe had been there and wrote many classic poems that reflect the beauty of this county on the Yangtze River. This mini city rests on top of Baidi Hill and is filled with scattered temples and gates. Located at the exit of Xiling Gorge, Zigui County is one of the shore excursion sites along the Yangtze River and Three Gorges cruise. It is the hometown of Quyuan, a great patriotic poet during ancient China. Zigui is surrounded by walls and, as it is in the shape of a gourd, is also called "The Gourd City," featuring classical Chinese style architecture. Zigui is also the main orange producer in the Three Gorges area. Jingzhou is an ancient cultural city with a history of more than 2,600 years. As it used to be the capital of the Chu State during the Spring and Autumn Period for 20 emperors, Jingzhou has become one of the cradles of the Chu Culture. The main attractions include five ruined cities of the State of Chu, 73 sites of the Chu civilization, more than 800 ancient tombs, and an abundance of museums. Jingzhou is a transportation hub and Shashi is an important port on the middle reaches of the Yangtze River. Wuhan, the capital of Hubei Province, is a routine port for Yangtze River cruises. It is a renowned city and a popular tourist destination, with an ancient history and a thriving present. The Yangtze River divides the city into three boroughs, Wuchang, Hankou, and Hanyang, and this is where both history and natural wonders can be found. Most of the scenic spots have connections with the Yangtze River, such as Yellow Crane Tower, Wuhan Yangtze River Bridge (the first bridge of the Yangtze River), Dong Lake (the largest lake within the city), and Guiyuan Temple (a Buddhist holy site). Maoping, located on the right bank of the Yangtze River and upstream of the Three Gorges Dam, is a town in Zigui County. Most boats traveling up and down the Yangtze between Yichang and Chongqing use this dock. 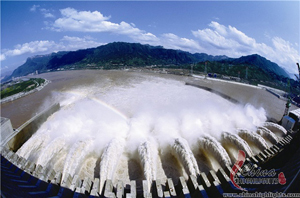 As it offers a good view of the Three Gorges Dam, Maoping has become an important tourist site along the Yangtze River.